Why it matters: For nearly a decade, NASA has been reliant on Russian rockets to put their astronauts into orbit. But if SpaceX’s most recent test goes according to plan, that may soon change. Today, SpaceX launched a new Crew Dragon capsule to demonstrate their readiness for manned spaceflight. At 2:49 a.m. ET today, SpaceX launched their latest Falcon 9 rocket from the Kennedy Space Center in Florida. While Falcon 9’s have completed many successful lift-offs, today’s was special because it is the first outing for SpaceX’s new Crew Dragon module, designed to take astronauts into orbit. Carrying 400 pounds of crew supplies, an Earth plushie toy, and a test dummy called Ripley, the rocket and attached capsule headed skywards without a hitch. Around 11 minutes later, the Falcon 9 boosters and capsule detached from one another successfully. The Falcon rockets are famous for being self-landing and reusable, and once again the boosters managed to land themselves onto a floating platform in the Atlantic Ocean. 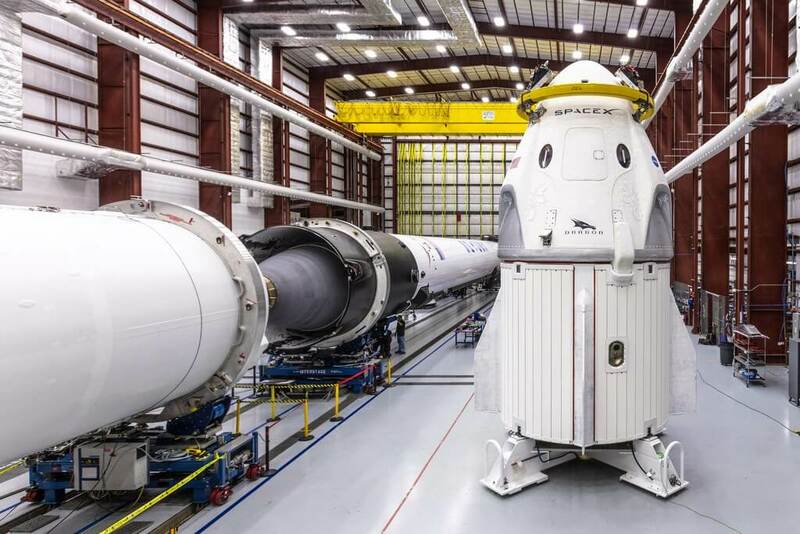 While everything has gone to plan so far, this is only the first stages of a test that will have SpaceX personnel on the edge of their seats for nearly a week. The Crew Dragon capsule is headed to the International Space Station (ISS) and if all goes to plan, it should dock there at 6 a.m. ET on Sunday. The capsule will deliver its payload of supplies and remain in place until March 8. Then comes the real test. What goes up, must come down – and the crucial part of the demonstration is to see how well the capsule returns to Earth. After all, you don’t want to send astronauts into space if you can’t get them back in one piece. To do that, the capsule is fitted with life-support systems, a fourth parachute (instead of the usual three) and more powerful thrusters to help control the vessel, should anything go wrong. If all stages of this test go according to plan, a final “in-flight abort test” will be the only remaining hurdle before SpaceX can begin sending people into space.